But oil-support companies say there’s a conservation upside to the ice roads that are now built from a makeshift “asphalt” of ice chips, snow and lake water, and can extend dozens of miles. They vanish each spring and typically leave no lasting impact on the tundra, a huge improvement over the gravel roads once used for exploration and which still scar the North Slope. This year, the industry is expected to build about 170 miles of ice roads and their mushier cousins — the snow roads that can’t support typical wheeled vehicles. That’s down from 377 miles in the 2013-14 winter, a high point set when oil prices were high. The state has yet to open the off-road season for tundra travel across the entire North Slope this year, when ice-road building to support the oil patch will be in full swing. That’s expected to happen late this month or in early January, said Melissa Head, manager of the ice-road permitting office for the Alaska Department of Natural Resources. That’s typical of many winters over the last two decades, state records show. But thanks to changes that came along 13 years ago — new state guidelines for protecting the tundra and new road-building techniques — the ice-road construction season is already underway. Early movers include Armstrong Oil and Gas, doing preliminary work on an 18-mile ice road to a remote wildcat well, officials said. ConocoPhillips has also begun building a 12-mile ice road to bring supplies to its Alpine facility. Alpine has no permanent road connecting it to the rest of the North Slope infrastructure. Temperatures this winter are falling steadily but snowfall has been poor so far this season, requiring ConocoPhillips to build its ice road using snow, ice chips and water collected from a nearby lake, Head said. The guideline changes the state made in 2003 came after the Slope’s ice-road seasons had lost more than two months from the 1970s, when they reliably stretched more than half a year, state figures show. The changes have led to a string of 13 seasons lasting at least five months, often similar to the 1970s. The 2015-16 season lasted 167 days, one of the shorter stretches during that period. 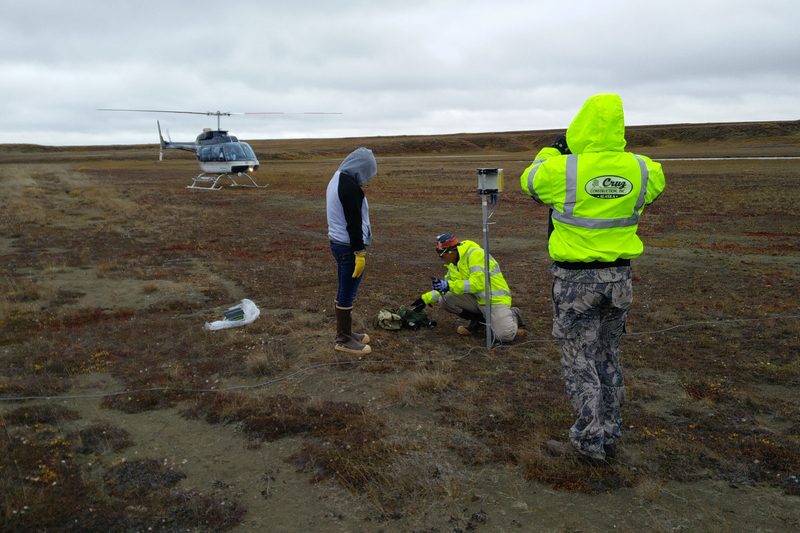 The new guidelines were developed after the state researched the conditions needed to protect the tundra while allowing the transport of multiton drilling rigs on frozen corridors. That led to detailed, consistent standards that hadn’t existed in the Prudhoe Bay oil fields. For many years, regulators simply waited for zero-degree temperatures before opening up the oil patch, officials said. The new standards set temperatures for ice roads at 23 degrees or colder in the top 12 inches of soil. Snow cover needed to be at least 6 inches or 9 inches, depending on the project’s location. Also, snow-packing was allowed to jump-start the construction of an ice road, using specialized vehicles with low-impact tracks, once 3 to 4 inches of snow fell. The rules allowed support companies to capitalize on cold-weather techniques they had developed over the years, said Dave Cruz, owner of Cruz Construction. They’ve done that preliminary work, to accelerate ground-freezing and winter construction, sometimes as early as October. Cruz said he believes the changing climate has had an impact on the ground conditions on the North Slope, though he also remembers experiencing a February rain on the Slope in 1978. “I think it’s having an effect on it, in a sense, but Alaskans have learned how to adapt,” he said. The companies now pack the proposed route with tundra-safe vehicles such as Tucker Sno-Cats. The packing removes snow’s insulating properties, allowing frost to quickly penetrate the surface and creating a depression that collects snow as winds level the landscape, Cruz said. Finally, companies spray the flattened routes with lake water, accelerating base-layer freezing. Repeating the steps makes a wide, thick surface. Other innovations have also come along, with companies in the preseason installing temperature sensors underground, beneath proposed routes. The digital devices send data over the internet by way of satellites, so regulators and oil companies know in real time when the route is frozen enough. That’s a far cry from before 2003, when regulators with hand-held instruments and tools, including spikes and sledgehammers, traveled to the field to measure ground-freeze. 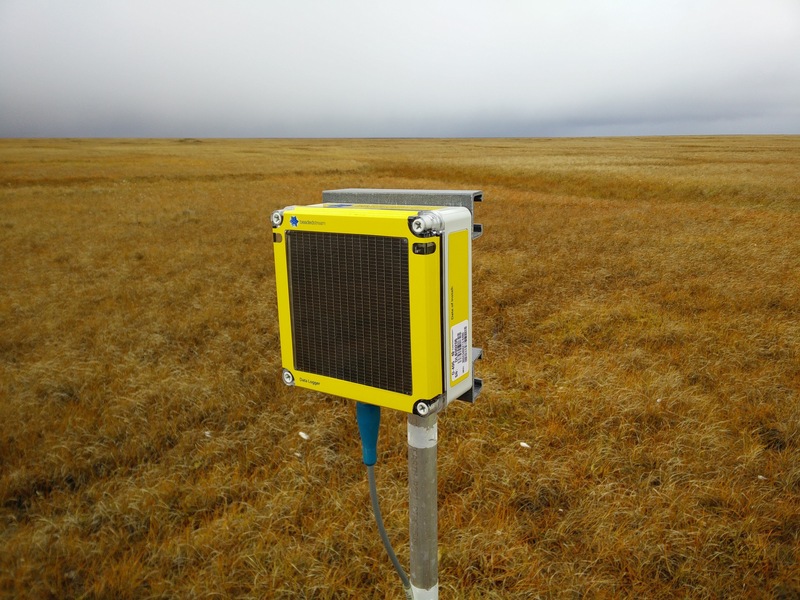 Now, the digital sensors and on-site personnel who monitor snow — sending photos showing snow depth to regulators — help the work begin days or weeks earlier than it did under the old system. That’s a huge deal in an industry that easily spends $300,000 daily waiting for drilling to begin, with expenses like contracted drilling rigs, medics and food-service personnel, said Shumaker, BeadedStream co-owner. “Companies are like, ‘I only have $50 million to do this test well. I don’t want to waste it sitting around in camp waiting for an ice road to open,’” Shumaker said. 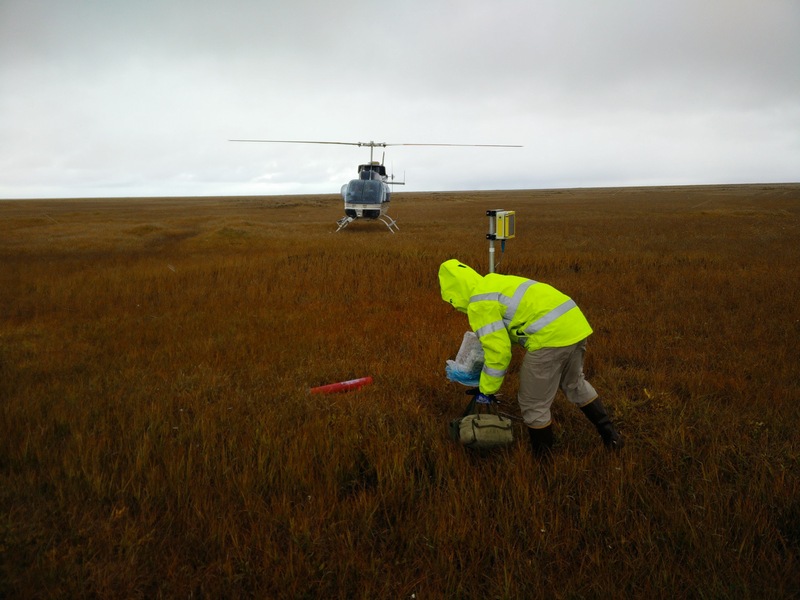 The new system isn’t perfect, but lasting damage to the tundra is rare, Head said. Most often, it’s related to human error, such as an inexperienced driver skidding off the road. “Instead of waiting to get pulled out, they spin their tires and gouge the tundra,” she said. Every ice road disturbs the tundra somewhat. But the damage is considered acceptable if the tundra would recover in a single growing season, she said. Longer than that and years of monitoring and intervention can be required, with companies adding tundra sod, seeds and fertilizer to stimulate growth. Damage from ice roads built in the 1980s wasn’t monitored like now, she said, making restoration more difficult. The results are visible from aircraft — tracks left by huge vehicles that once conducted seismic testing, Head said. Lois Epstein, with The Wilderness Society, said her organization has concerns about the effects of ice roads on the environment, including what happens when large amounts of water are removed from lakes. Alaska Natives depend on fish in those lakes for food, she said. The group is also concerned about how much monitoring the state can do when it’s cutting employees to reduce huge deficits brought on by low oil prices. Head said she oversees three regulators — one more than in past years. She said someone is on the Slope almost every week to make sure all companies play by the rules. “We try to be hands-on and we’ve been successful with that over the years,” she said. Previous articleWho is Rex Tillerson, dark-horse candidate for secretary of state?